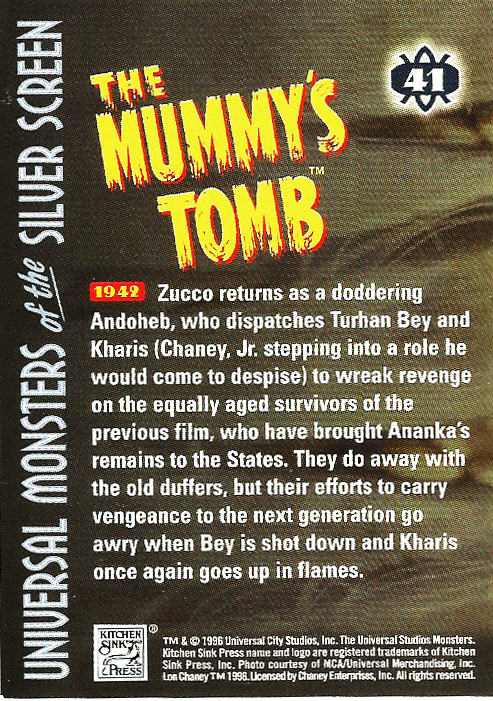 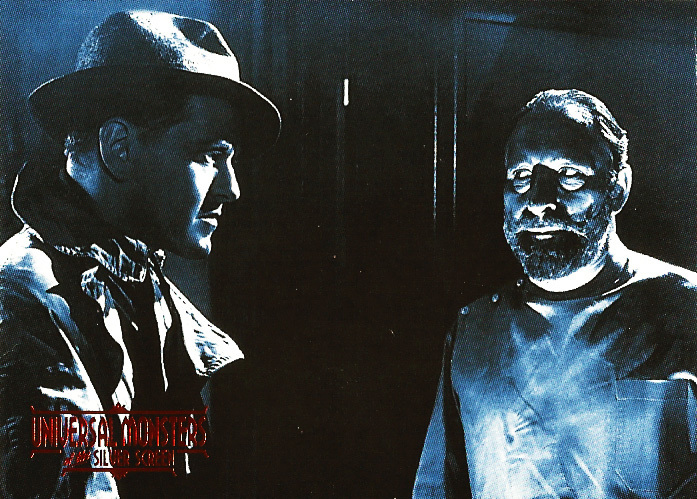 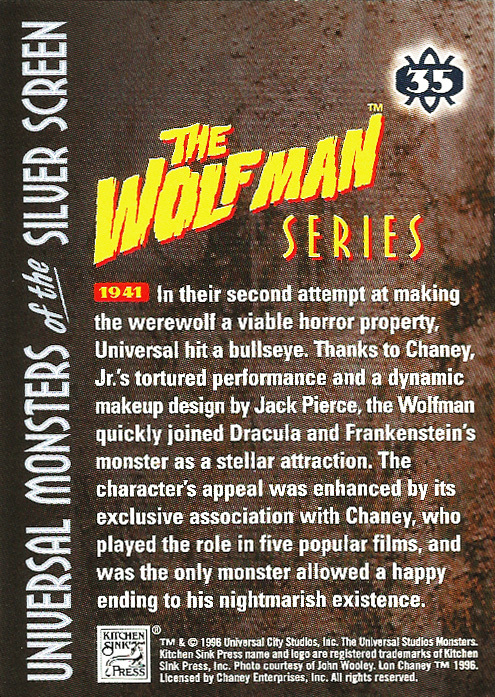 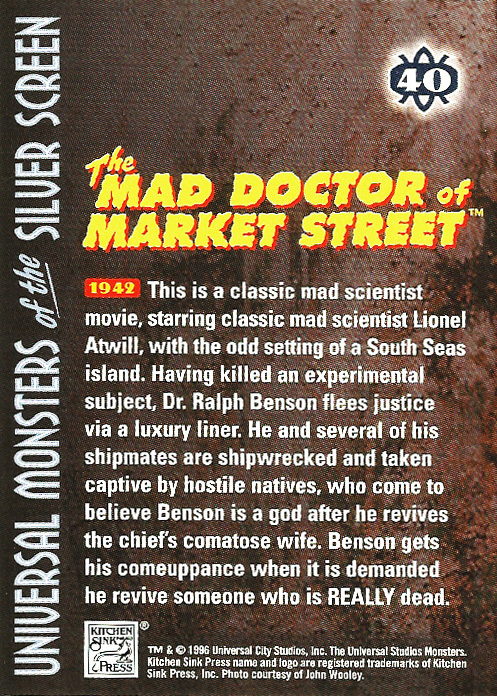 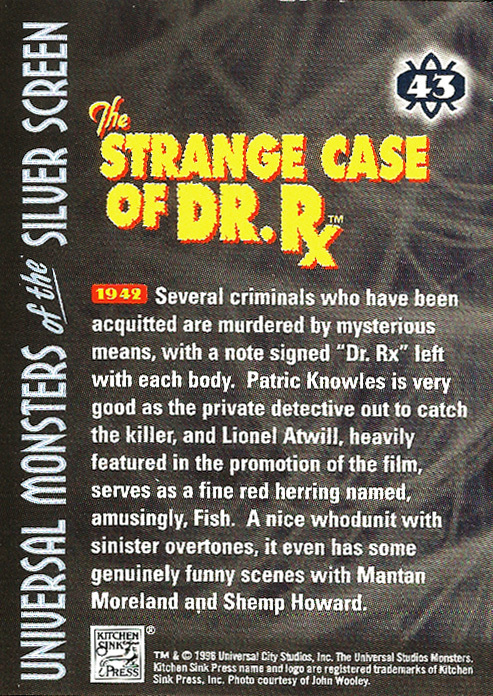 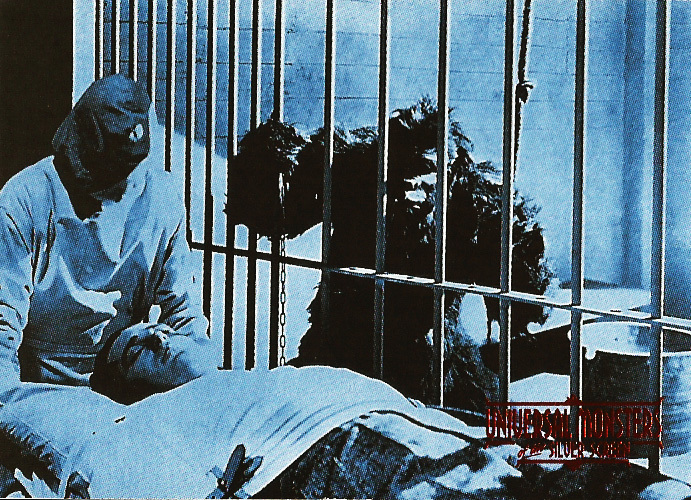 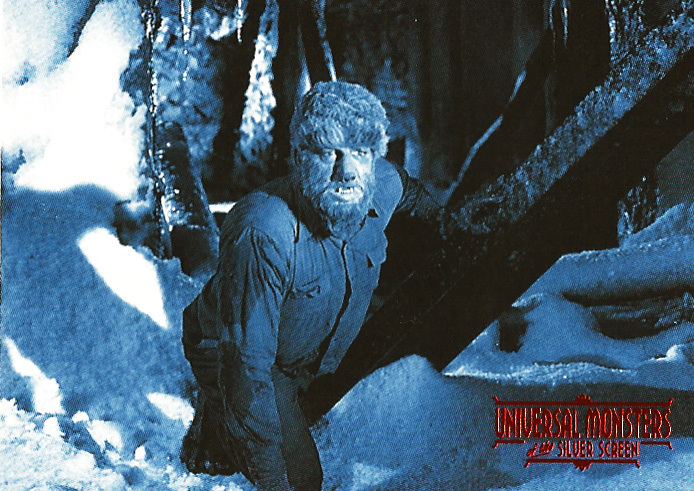 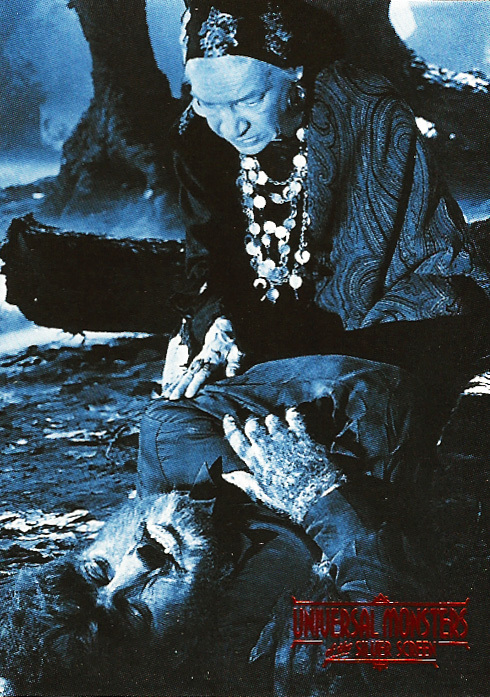 Universal Monsters of the Silver Screen Trading Cards, #31–45 (1996) | 'TAIN'T THE MEAT… IT'S THE HUMANITY! 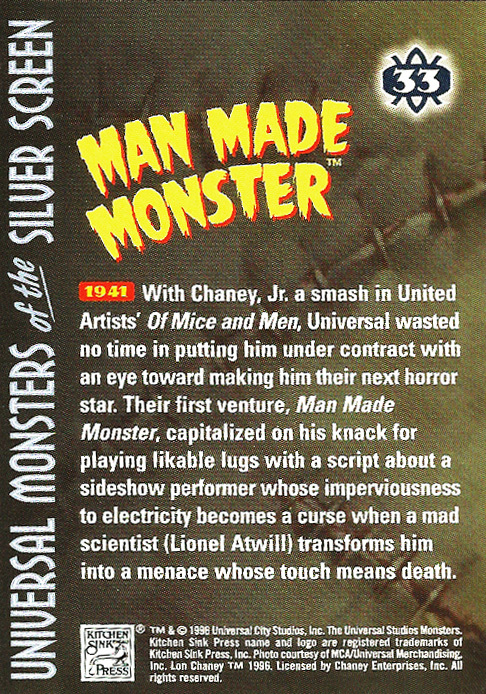 Here is the third batch of cards from Kitchen Sink Press’ Universal Monsters of the Silver Screen Trading Cards from 1996. 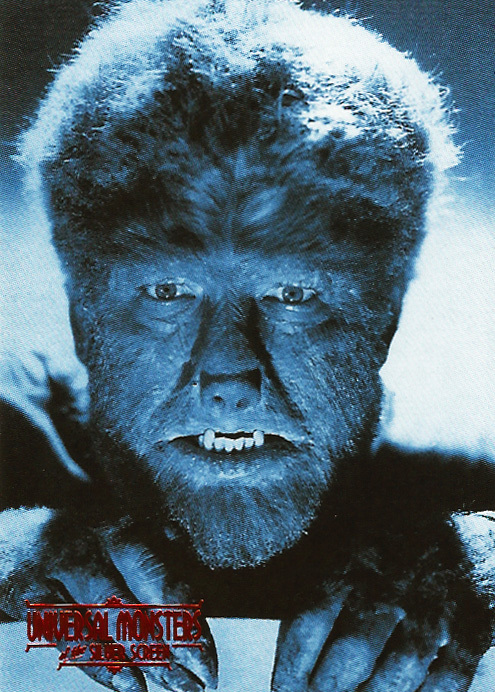 Universal Monsters of the Silver Screen consisted of 90 blue tinted base cards, 10 full colour poster stickers, 12 shiny chromium chase cards and one ultra-rare card (which I still haven’t been able to track down). 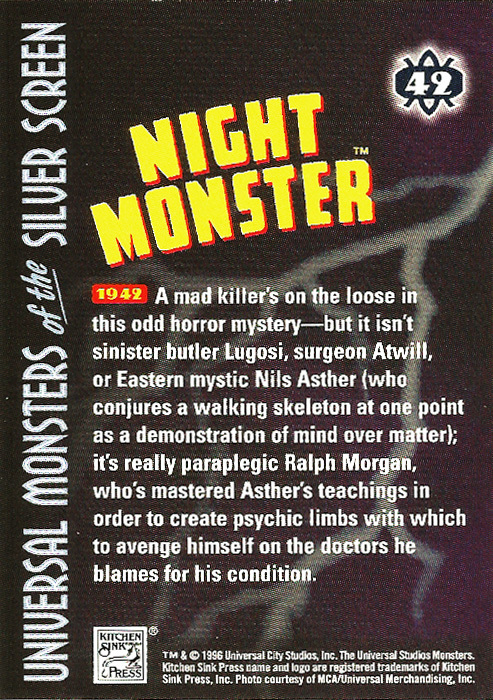 All the cards measured 2.5 x 3.5 inches and each pack contained eight cards and one sticker. 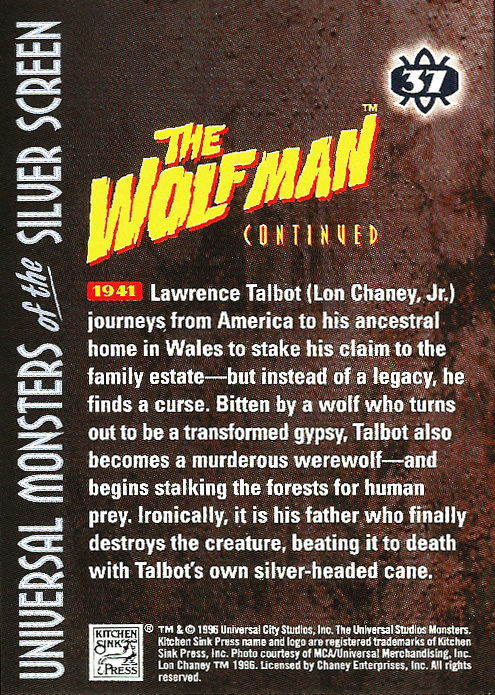 The base cards have red foil stamping on the picture side and all the cards featured a short (and quite informative) caption on their reverse. 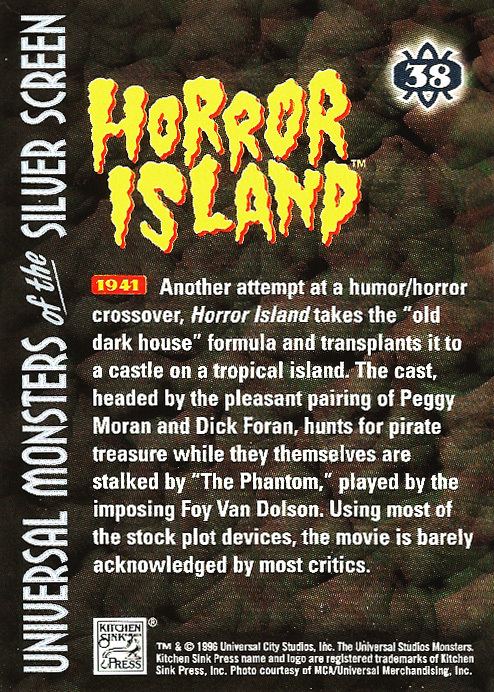 The cards shipped in a distinctive cardboard display case, the back of which is shown above. 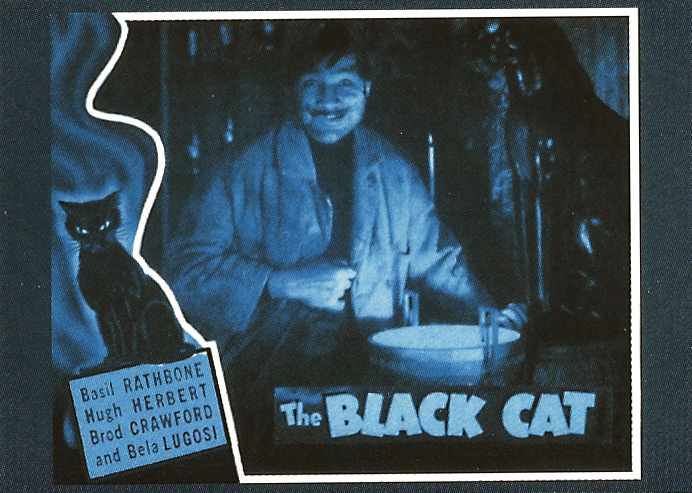 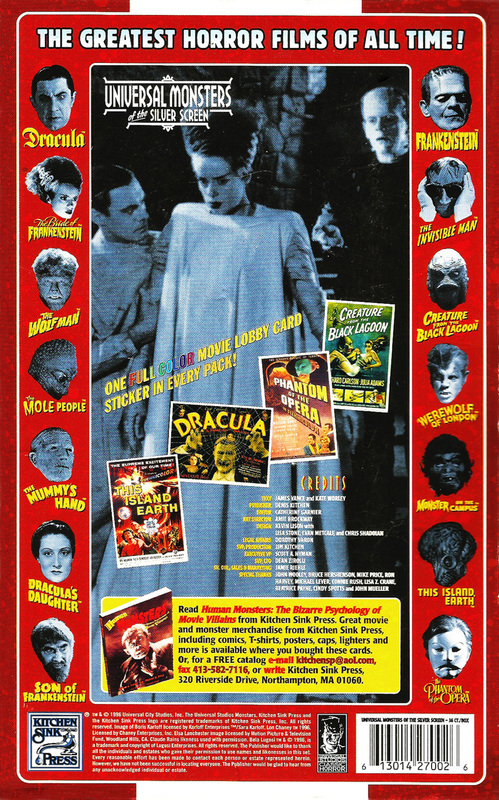 The 15 cards in this batch cover Universal’s horror film output from 1940 to 1943, most of which are not that well known. 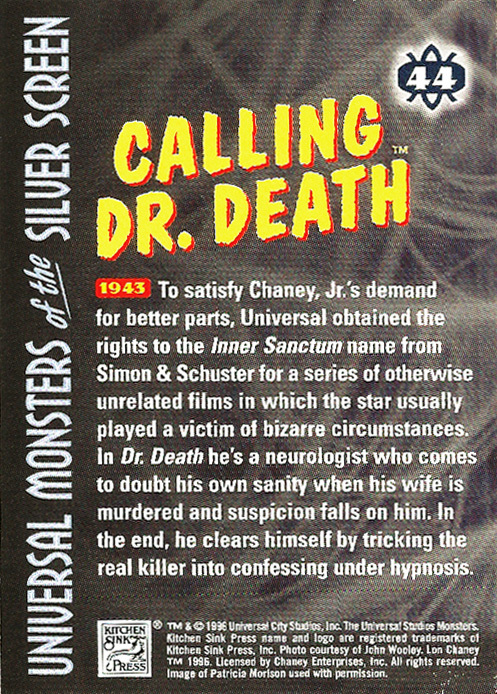 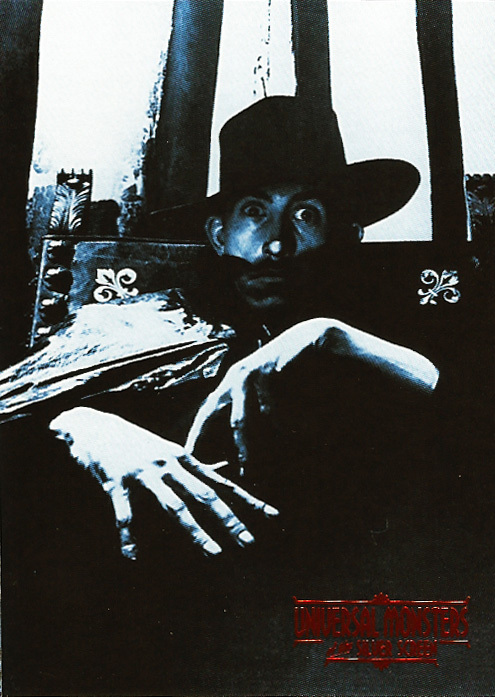 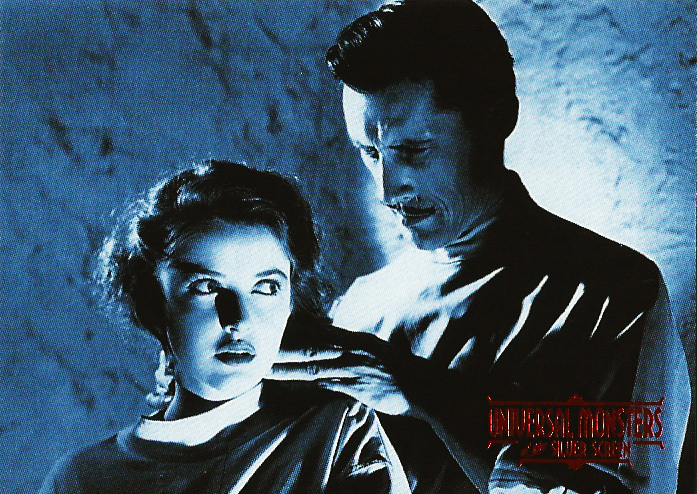 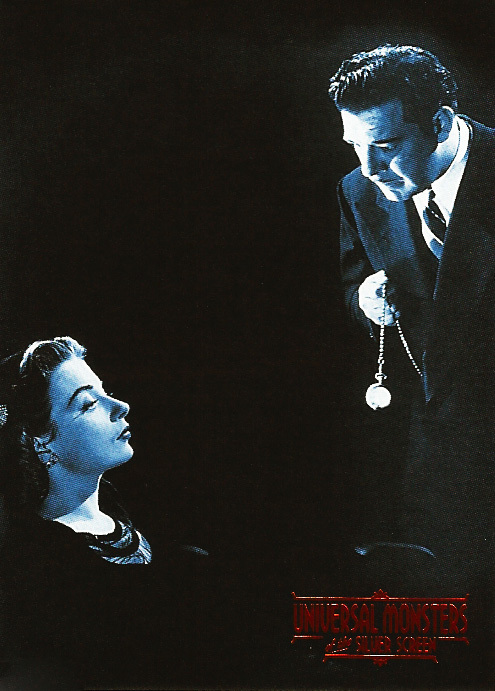 Man Made Monster (1941), The Black Cat (1941), Horror Island (1941), The Mad Doctor of Market Street (1942), Night Monster (1942), The Strange Case of Dr. RX (1942) Calling Dr. Death (1943) and Captive Wild Women (1943) are probably not that familiar to most horror fans. 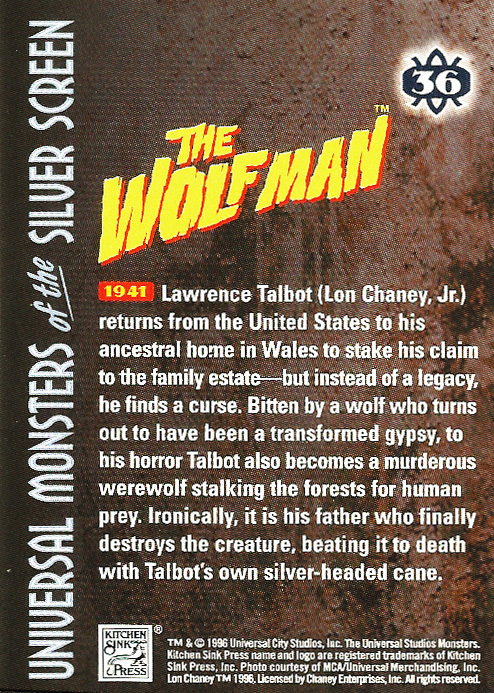 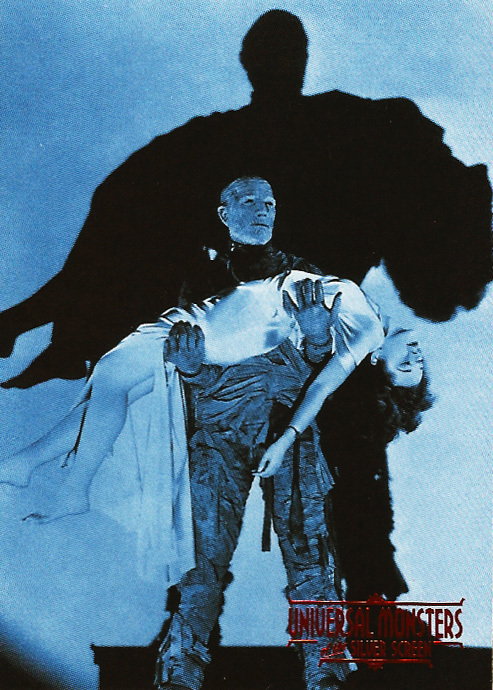 However 1941 saw the introduction of one of Universal’s most enduring monsters: The Wolf Man, starring Lon Chaney Jr (the image on card #36 must be one of the most recognisable in the history of cinema). 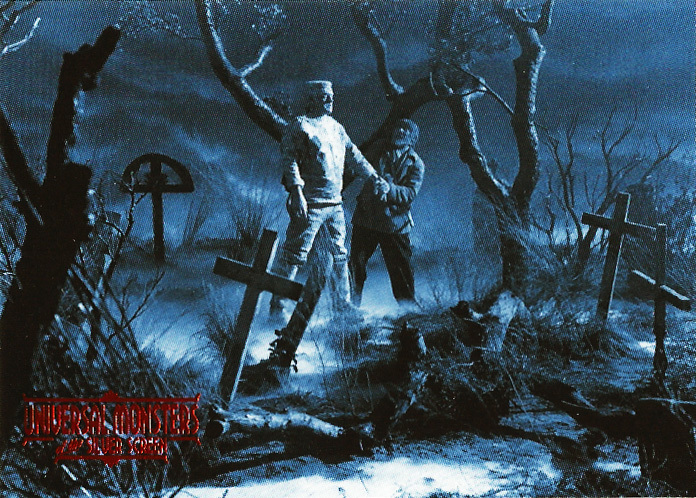 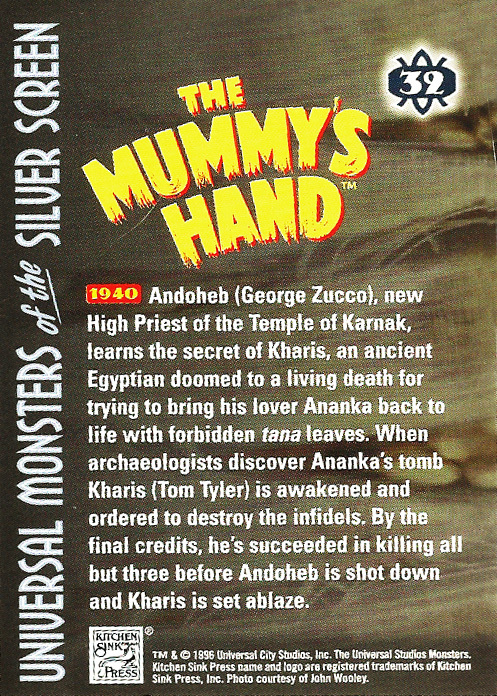 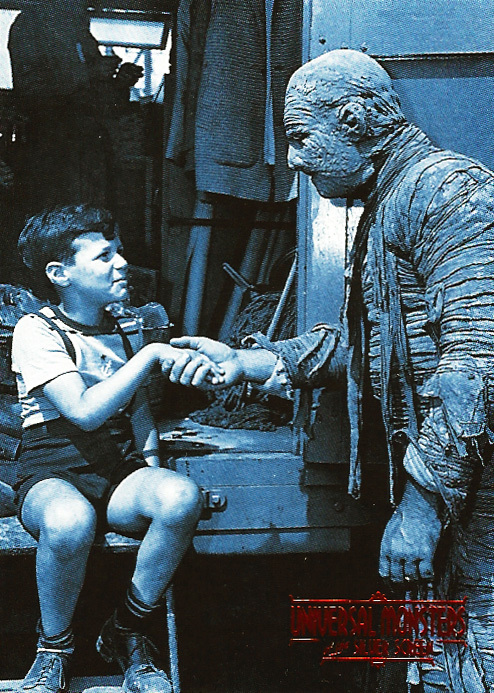 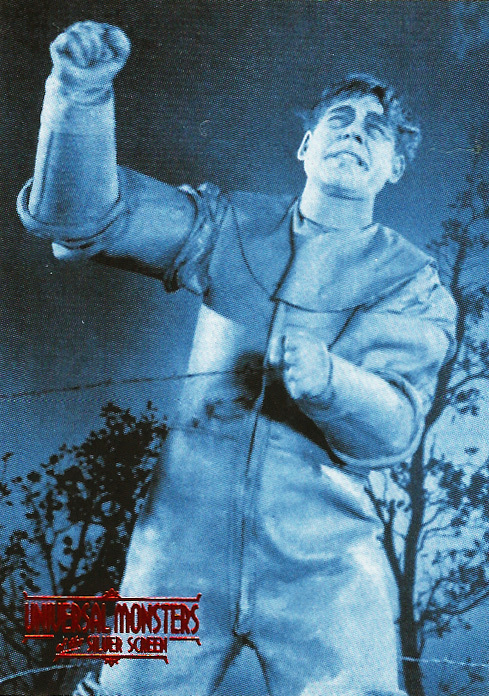 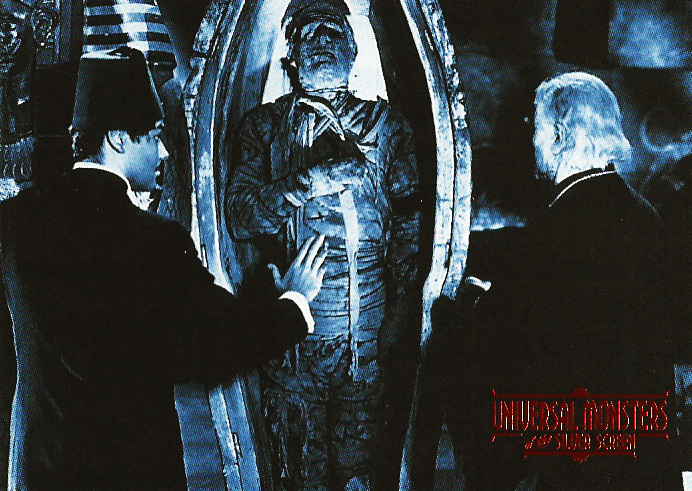 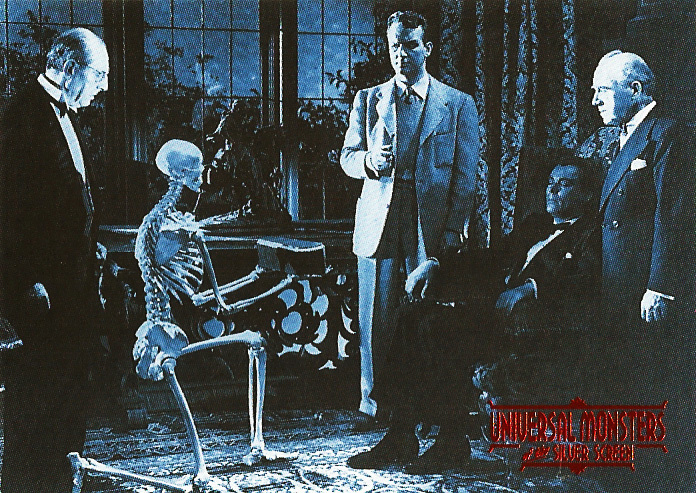 There were also two more entries in Universal’s crowd-pleasing Mummy series – The Mummy’s Hand (1940) and The Mummy’s Tomb (1942) – and another in the perennially popular Frankenstein series, The Ghost of Frankenstein (1942). 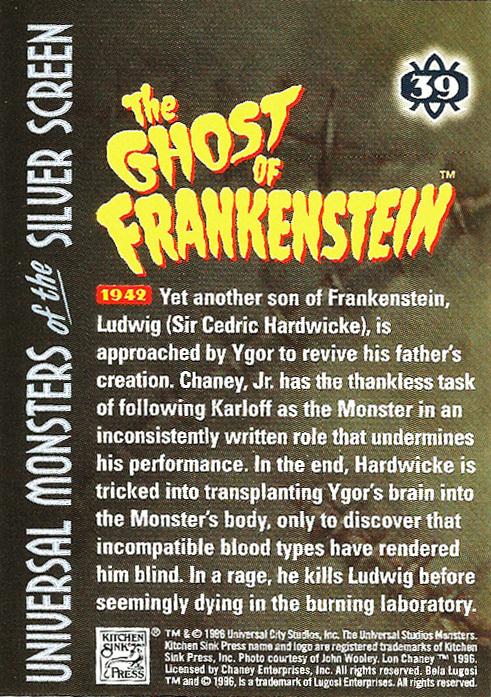 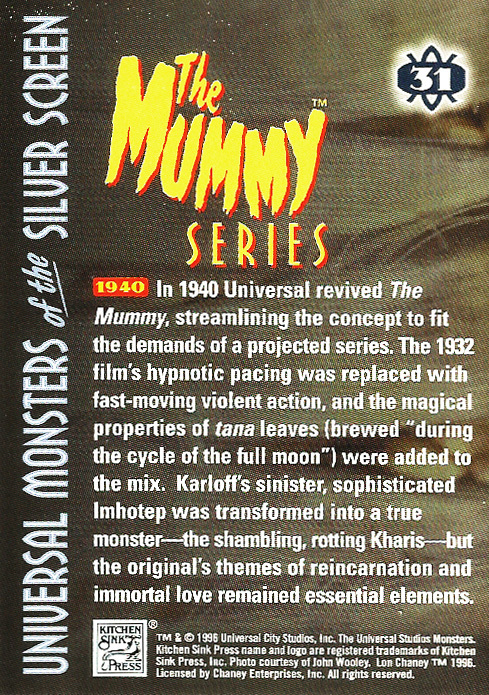 Here are cards #31–45 from Universal Monsters of the Silver Screen Trading Cards, both front and back. 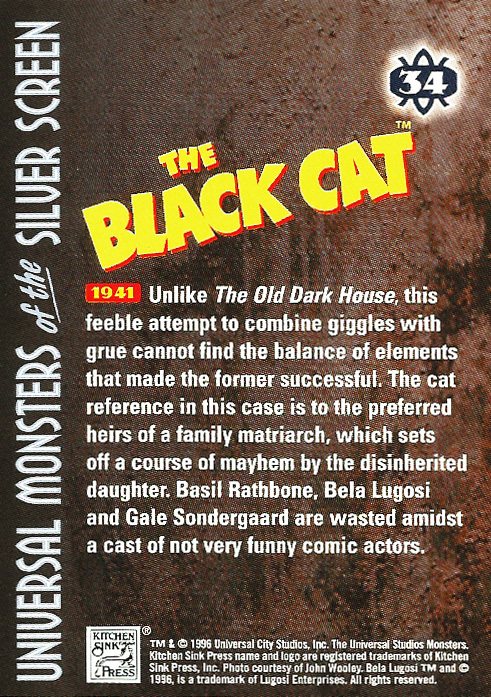 Cards #1–15 are here and #16-30 are here, and I’ll post another batch very soon.